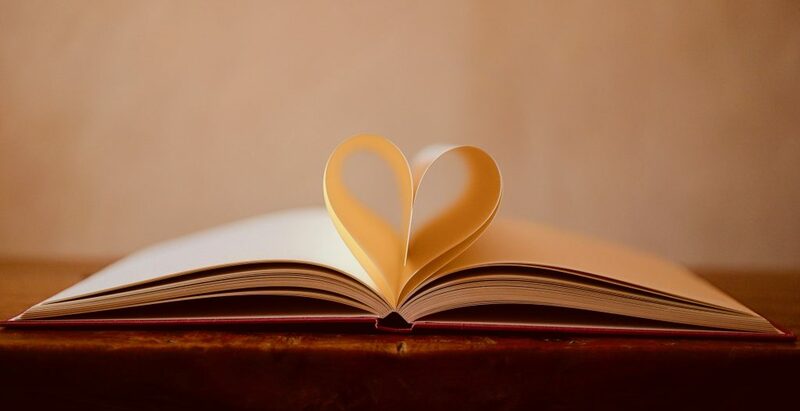 Question: Your teaching and work is evocatively expressed as “The Path of the Heart” or “The Path of Beauty.” Could you provide some glimpses into this path for us and what it is about? When we speak of the Path of the Heart, we could say that this path exemplifies non-intellectual and direct cognition of the essence of one’s reality, intuited in the Heart of one’s being. The Path of the Heart is present in any tradition we look into — whether this is tradition of the Bushmen of Kalahari Desert, the shamans in Siberia, yogis of any path, or the Sufis of any order, whether this is an early Christian or gnostic tradition — within these [traditions], we find that alongside various expositions on the nature of ultimate reality, the most direct is the one which is not arrived at through any intellectual means, but where that which is the core of everything gives rise to understanding thereafter. 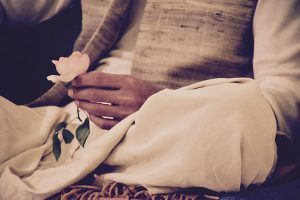 We can find parallels in some of the Sufi teachings, where that recognition is spoken of as “engraving the essence in one’s own heart.” Sufis often speak of that term “engraving.” They say, “Let the love be engraved in your heart.” So the Path of the Heart — in a paradoxical way — is what transcends any tradition, because by definition it cannot be contained by a set of doctrines. And from the perspective of many other methodologies and pathways, there is this attempt to grasp and understand the nature of essential reality, while the Path of the Heart discards that as the very limitation in its own term. Because grasping belongs to the sphere of the mind, it belongs to the dichotomized nature of thought. It rests on the dichotomy of the left and right hemispheres of the brain, hence dualistic as its basis. In the Path of the Heart, knowledge is not spoken of in terms of acquisition — the knowledge is not of mental or intellectual property. It is a simple and most direct knowingness itself. It is beyond concepts and precepts, beyond understanding, and beyond language. It is based on the power of intuition and refined feeling – just like the perception of beauty – intuited in the heart. At the same time, we don’t want to confuse this Path with overemphasized emotionality, nor do we want to begin to interpret the Path of the Heart through any romantic perspectives. And this is exactly what often happens in New Age spirituality. Yes, the Path of the Heart is directly connected and related to the path of devotion, simply because here, the Path of the Heart and the path of Bhakti Yoga, share certain qualities where both require refinement of perception. Refinement of perception is that where our feelings are more instructive to us than our mental processes, but feelings here need to be distinguished from emotionality, have to be distinguished from being taken on a ride of our hormonal ups and downs. The feeling here is a powerful wave of awareness, which gives us a direct connection to the finer reality of our being, as the depth of that experience, and that depth of the experience is more present through the feeling than any mental faculty can provide. That sense of feeling known to most artists as direct creative insight which is beyond any analytical thinking or logic. It also has the indisputable element of courage. Therefore, I often say that the Path of the Heart is not for the fainthearted. It is for the courageous and highly evolved beings, because it requires an evolved individuality to walk this path. It requires an individuality which is in touch on a very deep level with one’s feelings — with the sphere where these feelings essentially come from, and that can only come from the heart center. Here we speak of the heart center as that domain which is the overlapping of the realm of the vital and the realm of the transcendent. This realm, exemplified by the heart chakra — if given an example of sacred geometry — is an overlapping produced by a superimposition of two spheres — the aforementioned vital (physical) and that of the higher faculties — which create that form known as Vesica Pisces, which resembles a fish. And as we know, that was the symbol of early Christianity. Without a doubt, we can say that the original teaching of Christ was the teaching of the heart, and it is within the Vesica Pisces that the first geometrical form is being born — equilateral. And that equilateral, when complemented with another equilateral — one downward facing, one upward facing — is what produces that which is very well known to students of yoga and Tantra, that symbol of Shiva and Shakti, which takes place nowhere but the heart, because the heart is the seat of prana. So this first form, this first geometrical form, symbolizes and exemplifies the birth of Consciousness itself. It is the realm where Awareness is aware of Itself, and it is nowhere but at the heart. And the Anahata Chakra, or the heart chakra, when speaking from the perspective of spiritual anatomy, is only a reflection of a much subtler reality — that is, of the union of Shiva and Shakti. And it is for that reason it was considered a prerequisite to take one’s awakened Consciousness — exemplified by rising Kundalini — into the heart, to reassure and steadfast the process of awakening itself, which otherwise would be deemed to be unstable. Because it is at the heart level, at the heart center, that the first real glimpse of Unity — not the experience of unity, but the glimpse is possible — because it is where the realms are being held in equilibrium. And because the structure of Anahata Chakra is that reflection of that Supreme Union, and unless it is given access to, we cannot even begin to speak of truly abiding in the heart — even as the process continues. Therefore, in yogic literature, it was always explicitly spoken of — that to reassure the process at a certain stage, that particular fort has to be taken. That which is also known in Tantra as the Vishnu Granthi — the knot of Vishnu — is located in the Anahata Chakra — actually slightly below. It grants the access of Kundalini Shakti into the chakra itself, but it is primarily associated with the abode of the heart center. It is here where Kundalini is no longer bound to the lower processes and becomes gaseous, as the chakra itself is an expression of the subtle element of air. 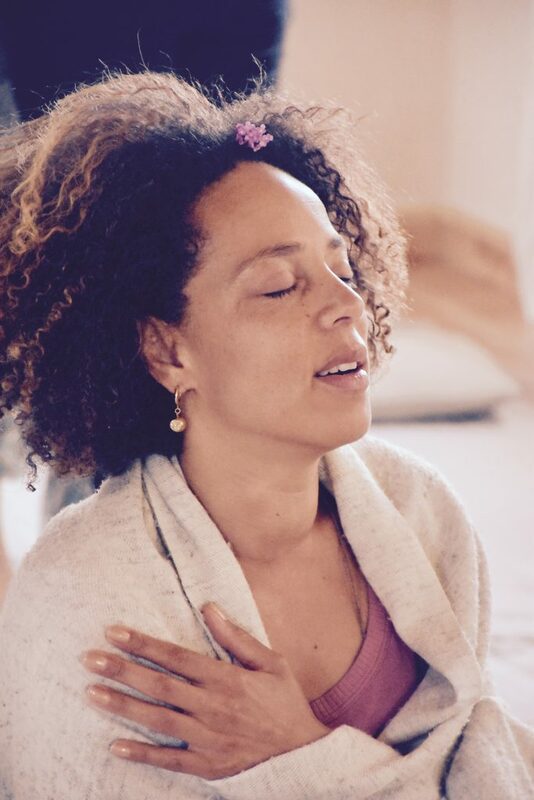 Since the Anahata Chakra holds all our emotions and feelings — because the domain of emotions and feelings is here — and once the information is released, we can truly speak of compassion as it is spoken of in various traditions. Because prior to that, all these are but concepts — no matter how dear, no matter how profound — they would be understood as just that… concepts. One’s heart chakra has to be rendered open in order to truly experience the nature of compassion. It is also worth mentioning that it is here where the real danger of being arrested takes place; arrested to that particular psychic center, because Anahata Chakra, once it is opened — once access to this center is granted, where the sweetness of connection to the world is experienced directly, beyond the physical — is often accompanied by tremendous bliss and beatitude. And it is here where many yogis get arrested, many great beings have been arrested, because it is very, very tempting to remain at the level of that emotional connection to the world, even if the emotions here are spoken from a qualitatively higher order. The structure of the Anahata Chakra is a reflection of the union of Shiva and Shakti — that’s what Self-awareness is: it’s the union of Shiva and Shakti. Also, it is precisely in Anahata Chakra that our individual awareness has intuitive insights or glimpses of that unified state. And I want you to understand it has nothing to do with still having to go higher and then meet Shiva — it’s already recognized, because the heart center is in that proximity with the hrid. It’s that proximity, you see? This is where the yogi is born — in the heart. That is why, by hook or by crook, the Path of the Heart is to take the sadhaka to the heart as quickly as possible, because a tremendous amount of work can be done from here. In fact, it is preferable to come here, because on many, many occasions, the awakening and expansion of Kundalini is into the seat of will power — individual will, power, in the City of Jewels, in the Manipura, in the so-called third chakra — before the heart chakra opens. This is where you have the birth of these charismatic personalities, who can easily rule the world with their ideas, because that’s where they experience the power of their conviction of what they are. But it is also very much the egoic individuality. It literally resides there. It has to be sacrificed, and it is sacrificed in the heart, and then it will be further sacrificed in the piercing of the Rudra Granthi, because in the Rudra Granthi, individuality ceases to exist. It is as simple as that. It bursts. But this is in terms of the preference in the Path of the Heart, to work from that dimension and to take our awareness there. We will return to that. And as a footnote for clarification, although kriyas are an inseparable part of these immersions, this is not a “kriya path” — this is the Path of the Heart. Question: What kind of students feel drawn to your work? Are there any special qualifications or requirements to embark on this journey? All kind of students are drawn initially, but there are certain, we could say, characteristics that could loosely define the circles of those who are attracted to this work. It seems, these are mostly people who have already had a brush with awakening, or what is known as “collision with the infinite.” In other words, those who are interested in this work usually belong to the circle of those who have been around. Some have a lot of experiences, and I was taken aback when quite senior sadhakas, senior seekers of truth, came to this work — those who have been with very well-known teachers of the past and present, or some could even be considered teachers in their own right. There are also what I call “newcomers” to this work, and when it comes to sitting together, and sharing space, it’s not always guaranteed — who is going to stay and how this work is going to unfold for each and every one. As it is, I’m far from drawing any conclusions — any systems of who is cut for this work — because it’s not set in stone in any way. I don’t work from a set of preconceived ideas and concepts, and the main premise of this work is exemplified by the very term Flowing Wakefulness. Awake within its own Self as that flowing quality of our awareness. Exemplified by the Upanishadic axiom, atman (individual soul) awake within itself, and that wakefulness is not something that can be spoken of in terms of a fixed idea. Therefore, whenever I enter the space with people, it is always anew — always. When speaking of prerequisites — of requirements or qualifications to embark on this journey — I can only say that the one and main prerequisite is relevant for very experienced and for newcomers, and that is sincerity of the intent. Everything else is acquisitional, everything else is secondary. As long as there is sincere intent, then I feel that requirement is already there. With that said, this could also be a catch-22, because many people who think they have a very clear idea of what they want when they come to this work, very often have no idea what this is about. And that is because they have no clue what it is that they really want. This is where the real learning curve begins — the first learning curve for anyone given to this work, is to first realize that they need to have a clear understanding of what they actually want from this process. What do they want from this journey, from this process they are giving themselves to? Other than that, as long as one has a human heart, they all qualify. 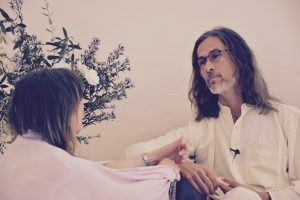 – Igor Kufayev – an excerpt from the interview on Kundalini, Kriyas & the Path of the Heart, Mallorca, November 2016. 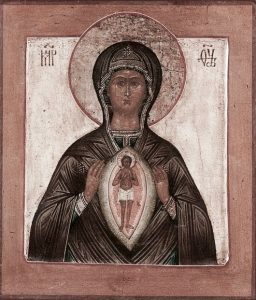 Images are Courtesy of Flowing Wakefulness Fellowship, except for the ‘Russian Icon of the Mother of God’, 19th century.